CHECK OUT OUR COMBO PAK WITH TURNER INCLUDED! Great for larger venues with low ceilings! 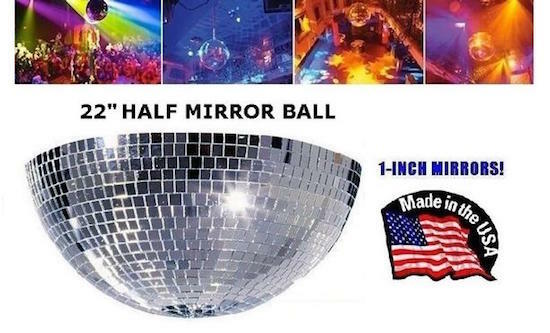 Mirror Balls are a great way to enhance any light show. 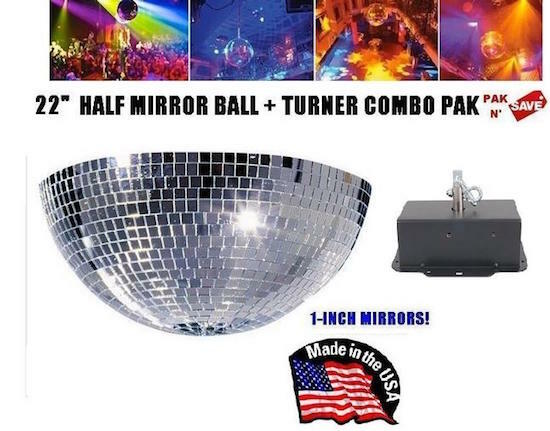 This mirrored disco ball is handcrafted in the USA by Omega National Products using premium materials. 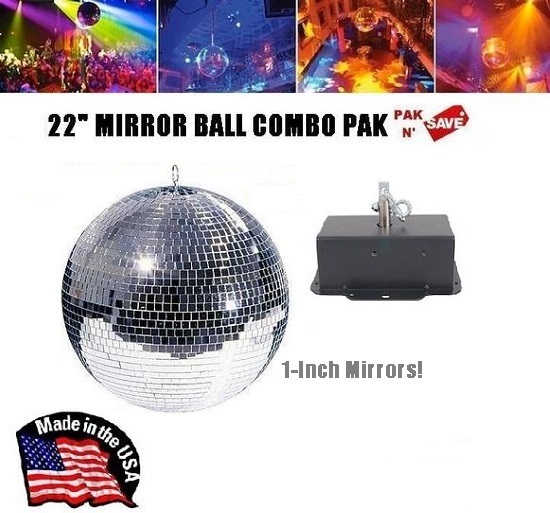 This mirror ball has a spun aluminum core and is reinforced with a steel rod at the center for extra strength and durability. 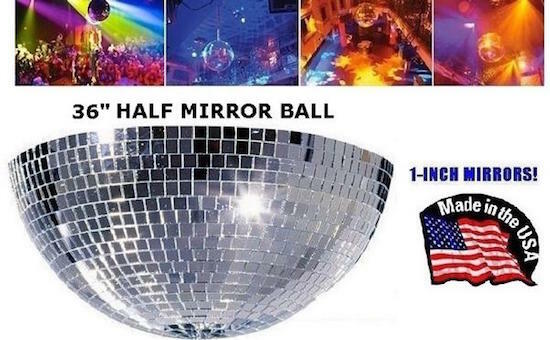 This mirror ball has large 1" mirrors, which when used with the proper lighting will create larger beams for a more dramatic and exciting effect over a larger area. This Is NOT A Free Shipping Item. Shipping charges are quoted by email for approval, without obligation, once an order is placed. Quotes are administered promptly during regular business hours Monday - Friday. You will have the option to approve or to cancel your order, with no obligation. Your credit card will not be charged until you have approved the shipping charges. Request a no-obligation shipping quote before you order by contacting us by phone or email. Provide us with the item(s) and quantity(s) along with your ship-to city, state and zip code. Let us know if we are shipping to a residence or a commercial business address. We will respond promptly by email or phone with a shipping quote for your review and consideration. Quotes are administered during regular business hours Monday - Friday. Due to the fragility of this product, to assure safe transport, it is shipped on a pallet in a crate. There is a factory crating charge, which will be included with the shipping quote. Not sure? Have questions? Contact Us and a product specialist will gladly assist you. 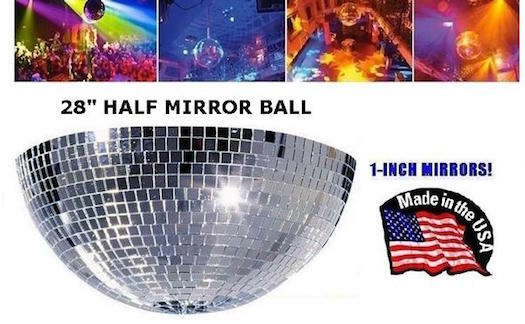 Venue Supply Company is not responsible for any incidents, should they occur, relating to the installation or operation of this mirror ball. We suggest that the product be installed by a qualified person and that the device be inspected on a regular basis to prevent accident or injury.